There are a few of these videos out there with head to head comparisons. You can probably watch them all with the sound off and get the most out of them. Eye opening to me. What surprises me the most is, for me, on a completely price and name value independent basis, I think I still prefer the Tudor. I prefer the look of the Tudor for sure over the modern Rolex GMT. The Rolex is too blingy for my tastes. Just with the GMT was slightly thinner. Otherwise it looks better than the Rolex in every possible aspect. Tudor is better looking hands down to me. That slab is literally the only thing that has kept me from trying a BB over the years. I still want to check out the 58, though. 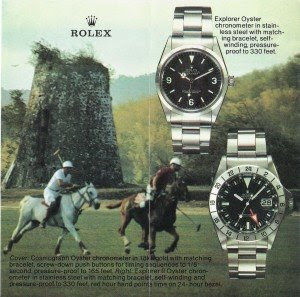 The like the Tudor bezel color, no cyclops, and price point. The Tudor overall case design and bracelet rivets slam the door. I prefer Rolex on every other mark. The Tudor snowflake GMT hand blows it for me, along with the rivets, and thickness. I like the Tudor, but as already pointed out, I really dislike the slab sides of the case. 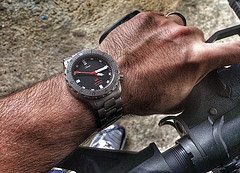 It's not a big issue if you plan to wear the watch on the bracelet, but it my prove to thick on a nato. I also prefer the Rolex hands (snowflake hand only looks good in a time only watch for me). The problem with the Rolex for me is the shiny bezel. 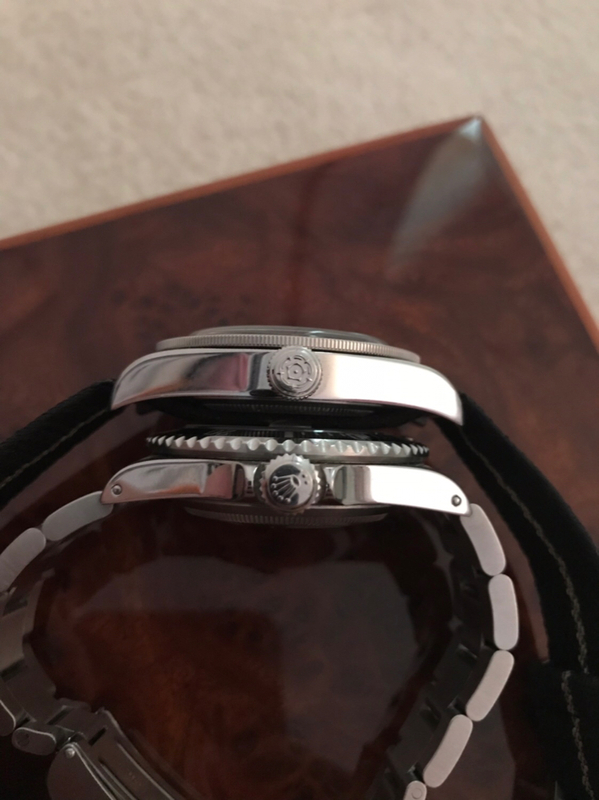 I also prefer oyster bracelets, but the jubilee is growing on me. So, which one I would buy (assuming the same cost)? In this case the Rolex, because what I hate the most are thick watches, they just don't work on my small wrist. I prefer the Rolex. I cannot afford a Rolex GMT of any variety. I've tried several of the new Tudors, and there's always something about them I don't like. The black bay is too thick and the proportions on the Ranger are just off. 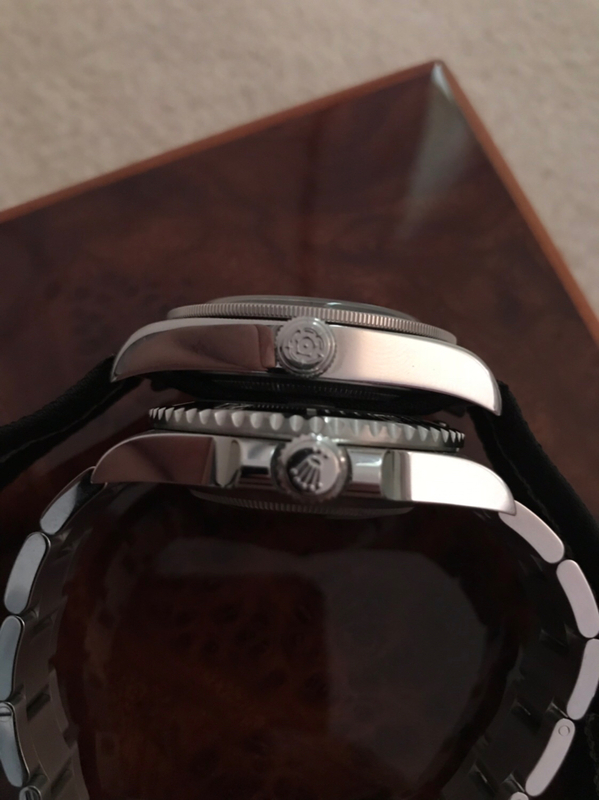 And I don't like their interpretation of the oyster bracelet, particularly the older, pre-rivet version - the center links are too big. 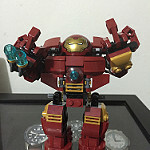 Maybe the BB58 is better proportioned. It looks to be, but I haven't seen it IRL. I like the way the Tudor GMT looks, but I imagine I'd find it too thick. Prefer the Rolex but do wish the bezel numbers were turned down a bit. For some reason Tudor does nothing for me. I don’t dislike them at all but I just don’t see myself ever buying one. I like the looks of the Tudor better, just don't need the GMT function. 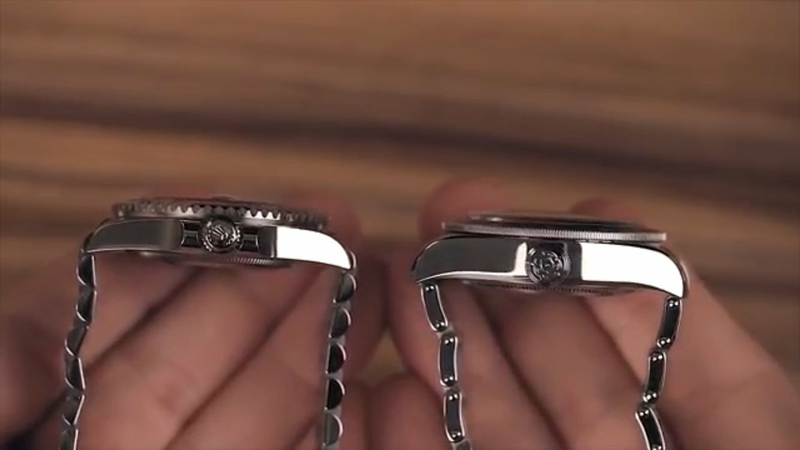 Are there any picture comparison out there of the new BB58 and a submariner? Ok. Bb58 versus subC 116610 and sub 16610. Thickness of case more similar to the Sub C.
About equivalent to the original sub, when take into account the caseback which stands out from the case. And CLEARLY thinner than the base black bay and GMT. Looks so good... can't wait to have mine! I'm still fairly new to the watch hobby, but I feel this one may become a classic in the future... classic proportions and design plus an in house movement with a 70 hour reserve. Perfect for people that like the aesthetics of a vintage watch, but want it to be reliable and waterproof.